US President George Bush “orders hits”, says Syriana director. GEORGE Clooney may have refused to openly attack US President George Bush while promoting controversial thriller Syriana but his director shares none of his reserve. Stephen Gaghan has accused Bush of “definitely” ordering the assassination of “lots of people”. Speaking on BBC Radio 4 arts programme Front Row on Wednesday night (Feb 22), he also said he didn’t believe the president even bothers to read some of the orders he signs to have them killed off. Gaghan was asked by presenter Mark Lawson if he thought assassination orders are actually given by either the CIA or the president of the United States in real life – bearing in mind the plot that features in Syriana. Gaghan replied: “I know it goes on. It does go on and it IS the president. All lethal authority, all lethal findings in the US come from the White House. 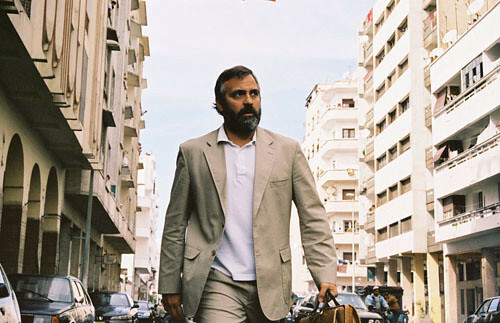 Gaghan’s comments are the strongest yet around the release of Syriana, which has so far earned Clooney – who plays soon-to-retire Middle East CIA oficer Bob Barnes – a Golden Globe for Best Supporting Actor. Based on former Middle East-based CIA agent Robert Baer’s “See no evil” and also starring Matt Damon and William Hurt, the political thriller focusses on the oil industry and a bungled assassination plot. It also features what some people see as a “sympathetic” portrayal of two suicide bombers and gets its name from the term Syriana – used by Washington “think tanks” to describe a hypothetical reshaping of the Middle East. As well as riding on a crest of a wave of discussion about US foreign policy, it has also inspired the current campaign to reduce US dependence on oil, Oil Change. Next Next post: “Nobody likes US” – says American director.